Collection 2000 has been around for a while but I have to admit I've never really used any of their products - I remember my sister having a very nice lip gloss by them that I was envious of and well... that's about it. I decided to try out their Lasting Perfection Foundation which was maybe a bit of a harsh introduction. Having freckles I find it really difficult to find a foundation that gives a good coverage and doesn't make me look an odd colour. I end up spending quite a lot of my make-up budget trying out different ones and so far have been pleased with a lot but not found the perfect one. Well Collection 2000 isn't perfect but at £5.99 it's really impressive. Right now please correct me if I'm wrong in my review of this but what's the point? I spent £17 on a product that not only doesn't come with anything to apply it with but also seems to be absolutely useless unless you just want an uber sparkly face and sparkly hands and sparkly husband and sparkly friends... I want my £17 back please. Can't remember this much disappointment in one product which is sad because their pressed powder is lovely. 2015 update - I love this now. Yes I only use it at Christmas and when I was to be super-sparkley... but I love it. Sorry MAC - objection retracted. 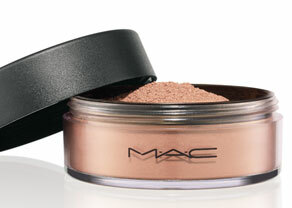 In May I tried out Mac Fix+ and I really liked it. It really does seem to keep my make-up on during the day and is a refreshing spritz if you are about to go out without reapplying your make-up in the evening. 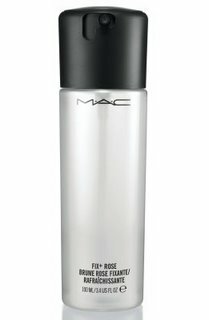 It also works well as a primer before applying make-up if you don't want to use a cream primer or want something that is going to do two jobs for the price of one. I love spritzing this on tired make-up or make-up that's been matted out with powder to bring life back into it. The worst thing about this is the spray mechanism. Although I like the packaging and on principle the way the spray works (you twist the top slightly in order to get the downwards action) you really don't get an even covering as you do with a more traditional spray. The best thing about this is the smell - it smells fantastic. First thing in the morning after the night before this will really perk you up and refresh you. I really recommend this to anyone who wants a little help keeping their make-up during the day or wants something at their desk to keep their face refreshed during the day or wants to reapply their make-up in the evening. It's £11 and you only need a small amount so this is a good investment.